Article - How are we going to live with Artificial Intelligence? With that in mind, we went to Košice in Slovakia for Art & Tech Days, an annual festival of media arts, technology and digital culture. We collected thoughts on artificial intelligence, giving voice to digital designers, entrepreneurs, creative directors, neurologists and artists, among others and we heard their opinions on how our lives are going to be affected by Artificial Intelligence. During Art & Tech Days we spoke with Filip Ruisl, Gene Kogan, Merav Oren, Karol Piekarski, Michal Hladký, Katarina Živanović, Jamie Lee, Martin Jan Stránský, Adi Zamir and Ofer Smilansky and divided their thoughts into five topics: revolution, movement, dehumanization, union and future. Filip Ruisl [SK/HU], a digital designer focusing on interaction, experience, visual and sound design, says that when someone develops software, hardware or systems in the context of Artificial Intelligence, they have some kind of responsibility and need to be intentful in what kind of approach or values they're putting out. As Gene Kogan explains “it just depends on what your conception of thinking is.” Gene is an artist and programmer interested in generative systems, computer science, and software for creativity and self-expression. Gene is the founder of ml4a, a free book to popularize machine learning among the wider public. Is thinking something that involves information being processed? Then, okay, the machine can think. Is thinking something that's unique to people? Do you define it as that which people do to process information? Then, machines can't think. There is a technology which is accessible and there are creative minds which can work with this technology, so we don't need all those 30 years of development, we can just maybe skip it or bring something which would mean innovation in a global perspective, not just locally. Data can be processed to help “normal” people. Karol Piekarski [PL], program director at Medialab Katowice, gives an example: having a tool that allows you to learn more about the environment around our new house, such as the facilities there or how far the nearest bus station is, is useful for common citizens. When we look at the field of contemporary culture for us, it seems that the field of new media art brings the most valuable concepts of how communities of the future could be organized, and that's why we decided to look into New Europe through the eyes of art, technology and science. 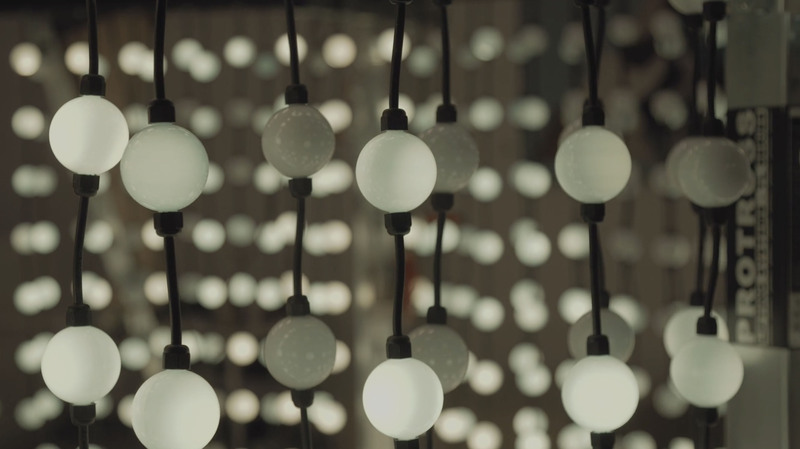 How can the dynamics of movement create sound and light? Jamie Lee [AU], creative director and dancer, explains how she creates storytelling through the body. “We started to take sound from my breath to create light and movement as well.” She looks at light, sound and movement as a triangle. Jamie says that often technology supports the dance but they don't work together and collaborate. In this case, however, in this triangle, dance and technology connect so well that one can’t exist without the other. Martin Stránský [CZ], neurologist, reflects on our dehumanization through Artificial Intelligence or technology and highlights the importance of happiness. “Artificial intelligence or technology is now a two edged sword because everything that we need, we've already invented.” - he defends. Martin uses experiments and studies to say that we are less happy than older generations and that technology like newer phones or self-driving cars does not increase our happiness. Even though we see the machinery and the AI taking a huge place in our lives, at the end, if something is not ok, or you have to speak with a patient (...) it won't be a machine, it will be a doctor, a human. I think that is one of the things that are unique in the AI machinery (machine learning) in the medical field is that there is still place for the human. Adi Zamir [IL], entrepreneur , Founder of Pink of View. I think AI could bring us to a place where we can really integrate with the machine and learn from it as much as it learns from us and, through that, elevate our society. Thoughts on Artificial Intelligence reflects on how it is to live with technology and artificial intelligence nowadays and what that will be like in the future. A conversation with ten speakers and artists at Art & Tech Days rises a lot of questions regarding the theme. Can machines think? Does technology make us more happy? Are we becoming dehumanised? What will our future be like with Artificial Intelligence as a part of our daily lives? This is the second chapter of our collection of films called “Thoughts on”, where we give a platform to independent artists and researchers to express their ideas on specific themes. Read our article about Thoughts on Collectivism here.